It’s not everyday that you get to meet your idol and for two of my best friends, Friday will be no ordinary day. First, there’s the adorable Natalie “Mini Martha” Schwartz, a craft-addict and hair-bow enthusiast. With her trusty box (read: storage closet) of tools, Nat can make anything out of paper and a hot glue gun, from a three-tiered diaper cake to handmade cards for every holiday (even President’s day). And she doesn’t just send you these DIY gifts, she posts the how-to on her very own blog, The Internat, almost daily. Then there’s Erin “Give me Offal” Gleason, who has the knife skills of Eric Ripert, the adventurous palette of Anthony Bourdain, and a face more beautiful than Nigella Lawson. It was only a year or so ago that she began teaching herself the finer points of food, but with a few cooking classes under her belt, this culinary goddess is quickly taking her friends’ superbowl parties (and soon, the world) by storm. 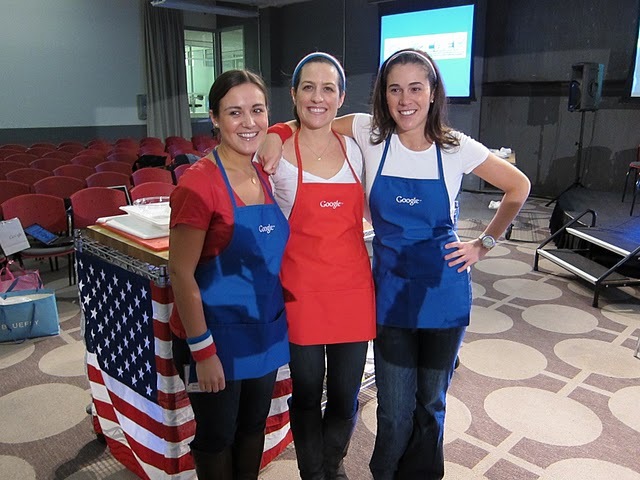 When they aren’t covered in glitter or flour, our two heroes work at Google, which hosted a charity cook-off in the New York offices last week. In the final minutes, right before registration closed, Nat and Erin raised the necessary donation and entered the contest. 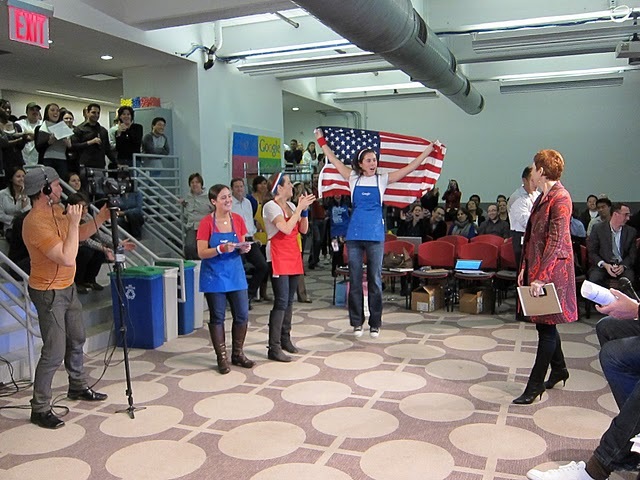 Three rounds of cooking, quizzing, and culinary obstacle-coursing later, their team finished third, wowing chefs with creative presentation and endless enthusiasm. But this is not where the story ends, because the top three teams from last week’s event now move on to the final round. Which is happening Friday. Live. 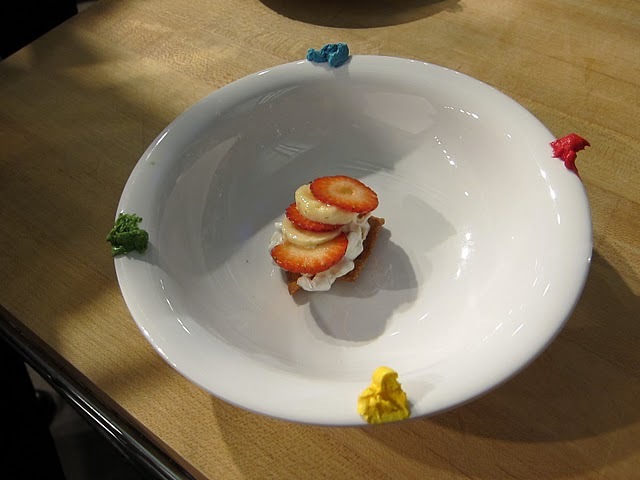 On Martha Stewart’s national TV show. Were talking fame, dreams come true, and apparently a lot of lamb. While this is not a low sodium cooking adventure, I thought it was a wonderful example of people taking on a challenge, teaching themselves how to cook (and craft), and excelling beyond expectations. Even Martha, with the big TV show and magazine and home furnishing line, started this way. So when you get intimidated by recipes and the culinary experts who created them and you think, man, I can never do that, remember the story of “Mini Martha” Schwartz and “Give me Offal” Gleason. Because we all have to start somewhere. And with a good attitude and a dash of determination, it may take you places you never dreamed. Set your DVRs accordingly and watch on. Good luck ladies! I will be rooting for these gals and hope to read about their successes in the future here in my favorite blog space! Thanks for you rooting…THEY WON! Woo HOO!!!! congrats to your friends. I hope to read about it somewhere on line.